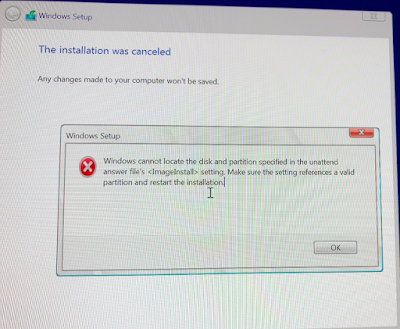 If you're here is because you've encountered the error "Windows cannot locate the disk and partition specified in the unattended answer file's <ImageInstall> setting. 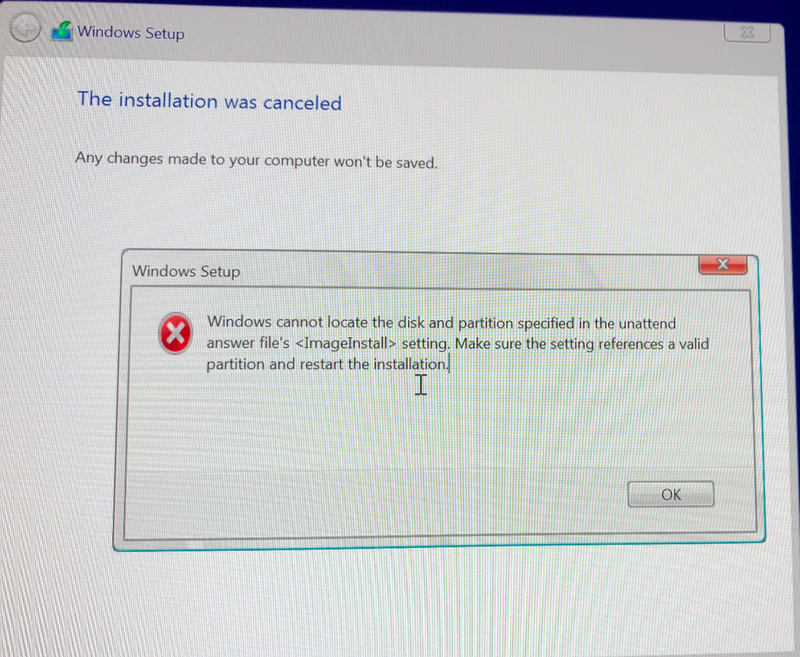 I had this problem myself recently while trying to install Windows 10 on my 2017, 27‑inch iMac with Retina 5K display which is configured with a 512 SSD drive. This was the 2nd problem I encountered while using Boot Camp. 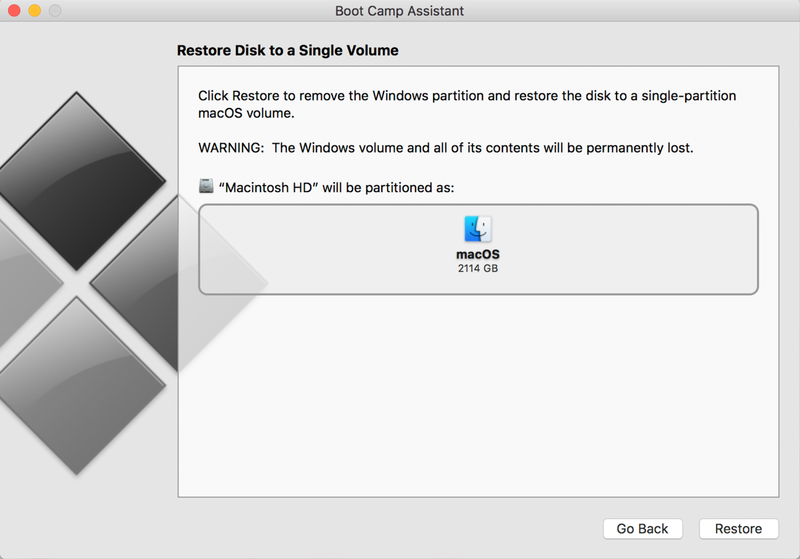 The first one was "Boot Camp: Your disk could not be partitioned" which I described the solution to in the link. The issue here was quite simple but it took some time. Lets address this from the least invasive steps first. Disconnect all external drives. (USB thumb drives, External Hard Drives, SD Cards. etc.) and try again. If your ISO image is on an external drive, copy it to your internal HDD. If this doesn't work, do not reconnect them back yet. Get back to MacOS. While your Mac is restarting, hold the "Option" key and select the Hard drive where MacOS is installed. Undo what Boot Camp has done. 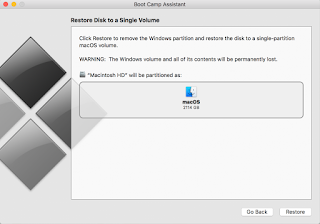 To do this, you will need to open Boot Camp assistant again and "Restore to a Single Volume"
Restart your Mac and start the process again, make sure you maintain the changes on Step 1. And that should be it. That's what it took for me to resolve this issue. Let me know in the comments if this worked for you, if you found a different solution, let me know, so I can add it to the article. Thank you for posting this, in my case it was USB drives plugged in at the time of installation.